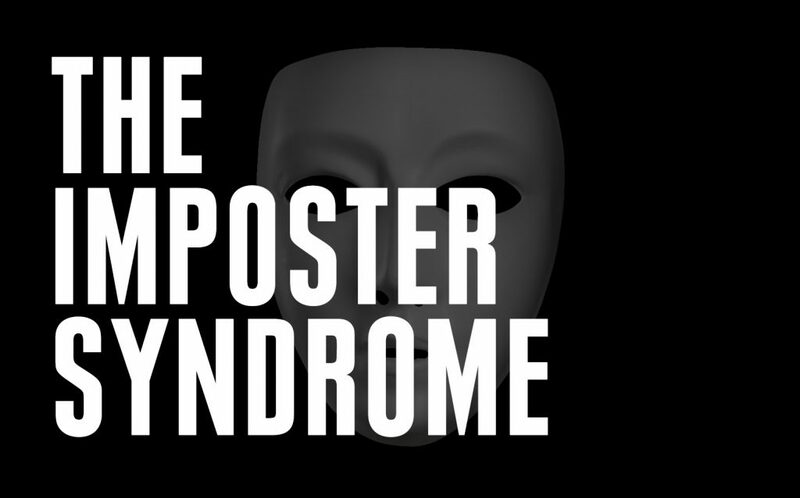 Within the short time I have been in the tech ecosystem, I have had the opportunity to have several discussions with countless number of female developers and one thing that is common among them is the impostor syndrome. With female developers who have more years of experience, the story is different as they have found ways to overcome it. I as a person, I’m not left out in this. Sometimes, I still find myself feeling like I do not know enough to do some “techie” things or take on some tech projects but I have found ways to overcome it too which I will be sharing here. The male folks are not exempted from the impostor syndrome as well. For them, it comes in form of pricing themselves too low when it comes to project charges or the same feeling of thinking your knowledge is inadequate to get a task done. Whatever the case, the impostor syndrome is real! It is nothing more than “I can’t do it because I have not gotten enough training or I don’t have enough experience”. Sometimes, it comes in form of “I’m just a beginner. I just started learning how to code”, when in the actual sense, you are one year gone in learning how to code. When you think you need to learn more languages to prove that you are a real programmer, that’s the impostor syndrome. When you are afraid to apply for hackathons or tech competitions, that’s also impostor syndrome. When you cannot take courage to apply for that tech internship or job, it is still the voice of the impostor syndrome walking its way around your head. 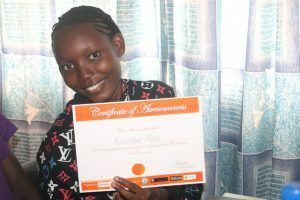 As developers, we have all been here one way or the other and female developers are not left out in this discussion as far as the impostor syndrome is concerned. It is alright to have the impostor syndrome, after all, we are all humans and fear sometimes surface especially when we are just trying out new things or just finding our way up the ladder in a new line of career but we do not always have to be at the bottom of the ladder. It’s time to move up the ladder and overcome the impostor syndrome. It is very easy to find most male developers exhibiting the can-do spirit. Few days ago, I was in a discussion with a group of developers and UI/UX designers and they were sharing their stories of how they got their present jobs. They all had similar stories. 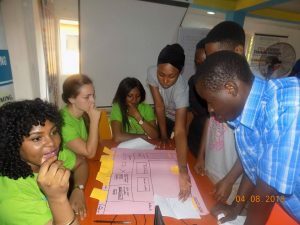 One had just started to learn design and after two months of learning, he applied for a job role in designing. That doesn’t sound like what a female developer would do. Two months! “That’s way too short a time for me to do that”, you would say. But my friend went for the interview and did the little he could. After the interview, he was given a take-home task to do. He didn’t know how to go about it but he went home and sat for ten (10) straight hours just to get the job done while also seeking help from those that could be of help and he was to deliver in six (6) days. At the end, the prospective employers were impressed and surprised as to how he could pull such a stunt in doing what he did within the shortest possible time. That’s just the can-do spirit. This is just one story out of the several others. It is very easy for anyone to give up when faced with challenges as the case is no different even in the developer’s world but something must keep you pushing on. After imbibing the can-do spirit, the next thing is to not give up. You take up that project knowing fully well that you can’t give excuses. You just have to deliver. This is what male developers do. They schedule meetings and meetups with other developers just to make sure their problems get solved. They ask questions often. I am in an all-female developer group on Whatsapp and that group is just so silent. No one is asking questions. No one is talking about the challenges they are facing with their codes, but come to a Whatsapp group where the greater percentage of the developers there are males, there is always a new problem someone is trying to fix. They don’t stop until they get answers. Sincerely, there are developers out there who are willing to provide answers to your questions. All you just need to do is ask. Even if they don’t have the answers, they can direct you to someone or somewhere or have a useful link for you that can help you out. They want to look at your codes and tell you where the problem is. Stop thinking you are bothering anybody with your questions. Don’t think no one will help you. You will find help. Just keep talking about your problems. Even if you get a no from one person or someone decides not to help, just move on to the next person. Until you find what you’re looking for, don’t give up! One thing I do always say is that male developers have a lot to teach us. Communicate and collaborate with them. You will be surprised how much you can learn from them. 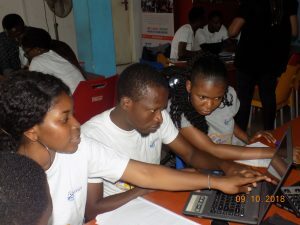 I remember male developers were the ones that encouraged and pushed me to apply for the Google Africa Challenge Scholarship when I was reluctant and feeling that I won’t have enough time to devote to making the best out of it. Even when I felt the course was way too high above my level, they helped me stick with it as I saw them pushing too. Taking that step taught me a very big lesson I’m forever grateful for in my tech journey. These guys are doing a lot of things at the same time and just by communicating and mingling with them, you will get just enough motivation to help you thrive as a female developer. By this, I mean learn from both male and female developers doing much more than you are doing. I can remember a time when I was speaking to a developer who wanted to get paid by a client to develop a website. I got hinted on the technology the developer was planning to use and I realize that I could do it too. In fact, I have done something similar and I’m so confident that I can do it and deliver very well if I was asked to do it but I never knew I could start making money from something I didn’t count serious. It was then I realized that I have been short-changing myself by thinking I was not good enough. You can do a lot with the little you already know. Don’t be apologetic about your knowledge. Realize that some things take time and take pride in what you already know. It is very easy to think you cannot do some things until you try and find out how much strength you have got within you. To eradicate the impostor syndrome, try out new things like learning a new language, participate in a 24-hour hackathon (you think you can’t do it? ), apply for that job and show that you can do the job. It was until I was told to do a live project with a programming language that I have no idea about that I understood that you don’t have to know it all before you start. You can learn to implement any feature of a program just by asking google and asking other developers who have done it before. All you need is internet access and a receptive learning mind. 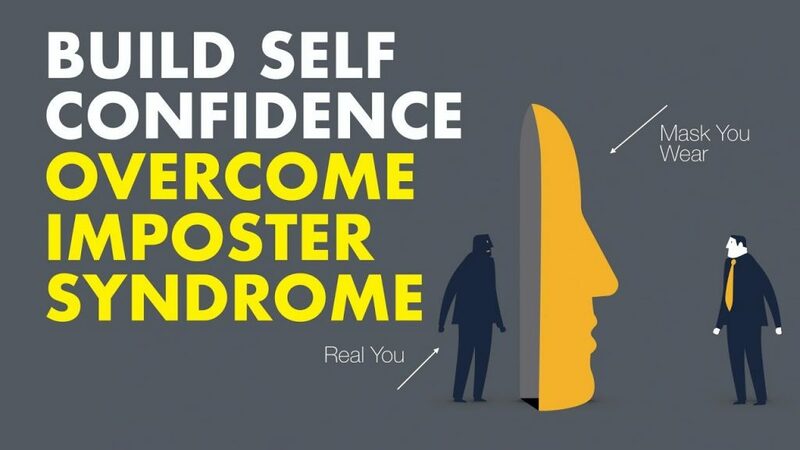 This might not be an exhaustive list of how to overcome the impostor syndrome but I believe that developers all over the world are doing something to overcome their own imposter syndrome. I have read an article that talks about how senior developers still look up answers from the internet on how to implement simple tech functionalities. It can even be as bad as researching what HTML tag is for linking pages (the simple <a> tag). This has encouraged me that you cannot know it all no matter your position in a tech company and no matter your years of experience. At times, even those we look up to still learn how to do simple things we already know how to do. Reading about this has really encouraged me. I also read another medium post where the writer says that it is when you’re struggling that you are actually learning as a developer. I found it to be true as I related it with my own experience. When you’re struggling as a developer, that’s not the time to get frustrated and throw in the towel. It is the real learning period and you are learning more than you can ever imagine. Keep yourself motivated with other developers’ stories. As a female developer, you are needed out there. You don’t have to know it all. The little knowledge you have can open doors for you to develop yourself better if only you are willing to come out of your shell and stop feeling like an impostor. I have written this to encourage female developers out there that you are good enough just the way you are. As at the time of writing this, I was with some developers and we were just discussing randomly. One of the male developers has this to say and I thought it would encourage a female developer out there. He said, “When a lady is a developer, she is a developer. Most ladies don’t do that job, but when they do, they are really good at it”. Are you still thinking less of yourself? You are good! I am Mary Abiodun and I say NO to impostor syndrome.